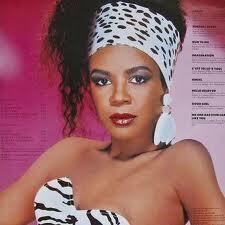 Angela Winbush is an American R&B/soul singer-songwriter who rose to fame first in the 1980s R&B duo René & Angela, also scoring hits as a solo artist. Born in St. Louis, Missouri, Angela began singing in church. She grew up in a loving and family-oriented household in a nice middle-class area of St. Louis. She did not initially aspire to a career in music, instead studying architecture at Howard University, singing only to earn extra money. She continued to sing in church while at Howard as well as with gospel legend Richard Smallwood. She also performed as a singer with a group called "Hot Tea" while she attended Howard University. They opened for various well-known performers during shows and also did background singing for recording artists. One of the other members of "Hot Tea" was Tawatha Agee, who later did a lot of background singing on the albums of several well-noted recording artists, eventually joining the funk/soul band Mtume. By 1977, Angela had changed her major to music education and recorded a demo. She shopped it to various record labels with no success but, through a personal introduction furnished by respected industry veteran, Wayne K. Garfield, the demo was heard by New York disc jockey Gary Byrd, who made the call that landed Angela a spot in Stevie Wonder's backing vocal group, Wonderlove. Becoming Wonder's protégé, she learned a great deal about writing and arranging songs. While in Los Angeles with Wonder, Angela met singer Rene Moore. The two formed the duo René & Angela later that year. They soon came to the realization that they could be successful as duo music writers and producers for others as well, and began pursuing that goal. René & Angela released their self-titled debut album in 1980, followed by Wall to Wall in 1982 and Rise in 1983. During this period they had two moderate R&B hit singles, "I Love You More" and "My First Love". Since starting out with Rene & Angela, Winbush and Moore have played an influence on various R&B and hip-hop acts. In the latter genre, their music has been sampled by acts such as The Notorious B.I.G. (who featured her and Jay-Z on his Rene & Angela-sampled "I Love You More" for the song "I Love the Dough"), Foxy Brown (who sampled her "I'll Be Good" for her 1997 top ten hit, "I'll Be", Rapper Sylk-E. Fyne's 1998 hit "Romeo and Juliet" that samples Rene and Angela's "You Don't Have to Cry", and last but not least singer Avant re-recorded the Rene & Angela ballad, "My First Love", with singer Keke Wyatt in 2000. In appreciation during Avant's performance of the song on BET's 106 & Park, in 2001, Winbush surprised the audience by singing alongside Avant on the song. As a singer, Winbush is well noted by her gospel-influenced musical humming during her songs. She has influenced the likes of Syleena Johnson and Chante Moore. Winbush and former partner Rene Moore also shared the distinction for being one of the first R&B acts to prominently feature a rap act in a R&B song sharing that distinction with Jody Watley, Chaka Khan and funk band Cameo. Winbush also carries the distinction of being one of the few female artists to find success as a songwriter, arranger, producer and session musician (Winbush also is an avid musician playing piano and keyboards).